Exchange Traded Funds (ETFs) look a lot like stocks because they trade during the day, can be sold short, and have options and they look a lot like mutual funds because they aren’t tied to a single company. The items are important things to know. If you aren’t planning to just buy and hold your ETF investment then commissions and the typical spread between bid and ask prices can be more significant than the annual fee. For example, if an ETF trading at $25 typically has a 10 cent spread, each round trip cost of buying and selling totals 0.4% —which could easily be more than the annual fee. Funds that have assets under $10 million are probably unprofitable. If the fund is new that’s not a problem, but if the fund isn’t growing there is a risk of closure. Funds don’t nosedive when their sponsors announce closure— typically they are still tracking their respective index, but you should exit before the final closure date so that you don’t get stuck with closing costs. Unless a fund has assets in the billions a surprisingly small market order (e.g., over a 100 shares) can net out at a crummy average price. For orders in the 100 to 1000 share range you will probably get good execution using a limit order at the current bid or ask price depending on whether you are selling or buying. If you have trouble keeping the bid and ask straight just consider which is worse for you—that’s the pertinent price. 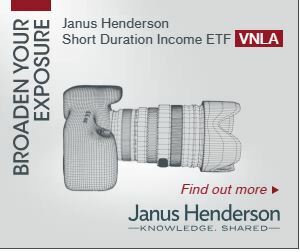 If you are buying or selling thousands of shares in a relatively illiquid ETF you should consider reaching out to market intermediaries to transact your trade. Attempting to piece out the trade yourself will be time-consuming and likely expensive. The market is very good at sniffing out trades like this. For more on this topic see Trading ETFs Without Getting Fleeced. Any non-dollar denominated foreign investment has currency risk. The dollar has not been particularly strong in the last five years. If the dollar strengthens your foreign investments will be hurt unless they are hedged for currency. You can hedge this risk directly with currency plays, or you can buy ETFs that have currency hedges built-in (some examples). If you don’t understand term structure risk you should stay away from futures based ETP’s. All volatility, interest rate, currency, and most commodities ETFs use futures. It’s not rocket science. Term structure just refers to the prices of futures as their expiration dates go out further in time. If those prices go up, above the spot price, the term structure is said to be in contango. This is the most common case. If the prices go down in time, below the spot price, the term structure is in backwardation. Backwardation tends to be unusual and short-lived—it occurs when markets are disrupted and there’s a lot of immediate demand for the underlying. Term structure is important because it can be a considerable drag on your investments. Futures that are in contango lose value as they converge on the current spot price—any ETF that buys them will go down in value too. Term structure can also be a boost to your investments—you want to be long futures with backwardation and short with contango. Even though interest rates will likely stay low for a while, they can’t stay down forever. Inevitably some people will get burned badly—bonds with a duration of 10 years will go down 10% with every 1% increase in their effective interest rate. Schwab added a large number of fixed income non-Schwab ETFs to their commission-free program—including Guggenheim’s Bulletshares® defined-maturity corporate and high yield funds that offer durations as low as one year with good yields.